Benefit Tea is a vibrant company but with traditional ideas. 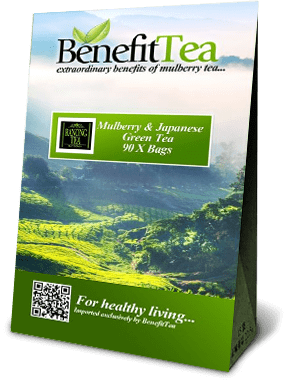 We aim to bring our customers great tasting Mulberry Green tea, chock full of healthy benefits at great value for money. All payment is charged in Great British Pounds so there are no money exchange worries and include shipping via Thai Post Recorded Delivery. We currently ship to the UK & throughout Europe. If you live outside this area then please contact our offices and we will be glad to help you. Please click on a pack for details and then if you would like to order, add it to your cart, complete the order process, and we'll ship it to you straight away! Blending a sweet, clear, crisp taste with warm blends of wheat grasses.